Do you know about circadian rhythms? They could be defined as our internal body clock, that determines psychological and physiological changes in us. Find out how a circadian rhythm disorder can influence the quality of your sleep. Like most living beings, humans have biological body clocks known as circadian rhythms. They dictate appetite, alertness, body temperature, hormones… You name it! Among other things they also influence when you feel sleepy, and when you should go to bed. Having a circadian rhythm means that the feeling of sleepiness after an all nighter does not just increase as you spend more time awake: this is also dictated by your internal rhythms, which will tell you that it is not the right time of the day to fall asleep. Your body is ready for wakefulness during the day, and trying to go to bed at that time would be wrong. If you do not respect your internal body clock, you may incur in one of many sleep disorder symptoms. Among the people with a healthy circadian rhythm, I would count those that many of us would call “morning people” (that like to wake up early in the morning) or “evening people” (that like to stay awake until late at night). Even if they have very different routines, they do have a thing in common: they can get up or go to bed at the time they want to, and they can rapidly adapt to a change in their routine. People that have unstable and ever-changing lifestyles, on the other hand, can incur in circadian sleep disorder symptoms: inability to fall asleep at the desired time, constant feeling of tiredness, lack of hunger… If you rotate shifts or travel a lot, you might experience these. To contrast the effect of circadian rhythms in these cases, you can avoid stimulants and use bright lights at night to delay the sleepiness. You can also use music from our main youtube channel in order to fight your sleep disorder! 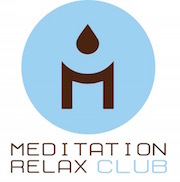 Listen to these simple and relaxing tracks to soothe your spirit, and visit our youtube channel Meditation Relax Club for many more! I love your web site. I like your message and your tips. The music is great.